This Website is Now on the New Rainmaker Platform! 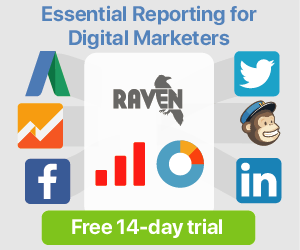 I’ve converted my whole website, including its membership area: to Copyblogger’s refreshing, relatively new Rainmaker Platform. In case you haven’t yet heard about Rainmaker.fm – or the Rainmaker Platform – it is Copyblogger’s WordPress-based, hosted ecommerce platform, tailor-made to make it easy for solopreneurs, service professionals, bloggers, experts, etc to share what you love with the world, market it, and sell it. 1. I already HAD a membership platform. One built on WooCommerce. 2. I wasn’t keen on the idea of a hosted membership website platform. 3. Rainmaker wasn’t yet EU-business friendly (EU VAT / MOSS compliant). Does WooCommerce = a good membership website? Fast forward 7 months: and I had gone NUTS. I’d gone Nuts (with a capital N) from running my own membership website on an eclectic concoction of WordPress + WooCommerce + a gazillion WooCommerce extensions and assorted WordPress plugins. … And that’s even far from being the complete list. While WooCommerce was a vast improvement upon my original choice of EDD / Easy Digital Downloads, which was a disaster (please – don’t get me started…) it was still a maddening situation. Always plugins to update – for security reasons – and for essential bug fixes. And with each update: a risk of new bugs occurring. Often those updates could (and did) break crucial functionality on my site. 1. Outsource the task of managing and coping with the above. 2. Find the root cause – and do something different. After some thinking, I realised that finding a hosted membership platform, could potentially be the ideal situation: essentially outsourcing all the code updates and other technical trivialities, to the makers of such platform. 1. All code has been designed – and tested – to work harmoniously, without conflicts. 2. 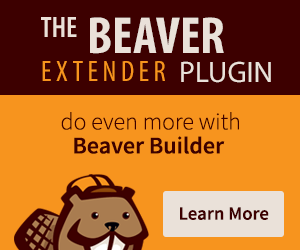 All customers are using the same combination of plugins/code. If something doesn’t work: it’ll quickly get discovered and fixed, as every user will be experiencing it. For general ecommerce webshops, I’ve worked a lot with (and highly recommended!) Shopify over WooCommerce. 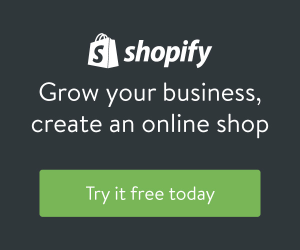 Shopify being a hosted ecommerce platform, means much less fuss. Higher reliability and better stability, than WooCommerce. Don’t get me wrong: WooCommerce is good. But Shopify is truly GREAT. Really. Sadly, Shopify is only great for shops that sell physical goods. You can’t effectively sell memberships with it. But hold on for a second here… Last time I checked, the New Rainmaker Platform wasn’t yet ready for Europe, and the burdensome VAT (tax) regulations. And especially not the new 2015 MOSS (Mini One Stop Shop) scenario. The 2015 MOSS EU VAT mayhem introduced by the EU now requiring ANYONE (worldwide!) selling electronic services to consumers located within European countries to charge (and periodically report and pay) VAT, based on each customer’s home country… Well, that’s a very complicated (hence unwelcome) regulation to introduce. Fortunately, big challenges breeds new solutions. And MOSS has proven to be somewhat a blessing in disguise. It has forced providers of ecommerce platforms (and plugins) to support European commerce rules and regulations. I used Premise, Copyblogger’s discontinued membership plugin (the one Rainmaker is built upon) some years ago, and asked Copyblogger to please support European ecommerce and accounting rules. Their reply? Not exactly affirmative. More along the lines of “yeah, maybe, whatever”. When MOSS came along – they suddenly had to find a solution. The developers at Copyblogger / Rainmaker have full insight into the code of the platform. For me as a user, that translates to: no more contacting various plugin developers, documenting bugs, only to be told “this plugin doesn’t work with that plugin because of a conflict, so please try to contact that other plugin dude and let him know this issue…” etc. 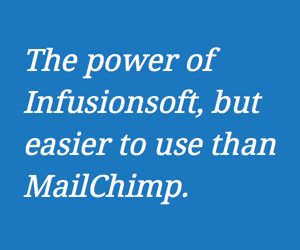 Think about the clear benefits of using a solid, documented platform. It’s much easier to tell your assistant that if he/she needs help, Rainmaker has a well organized Knowledge Base + video tutorials and webinars. Still issues? Use the email form and write Copyblogger support directly. Split-testing your landing pages? Easy to do in Rainmaker. Scribe is baked into Rainmaker. I’ve tried various WordPress plugins and approaches to SEO content optimization. Scribe is (by far) the best copywriting optimization plugin available. Every pro blogger / copywriter should try Scribe. Read why in my review. Create an affiliate program? You can *easily* start an affiliate program with Rainmaker. Last year, I bought the Affiliates Pro extension for WooCommerce, from itthinx… whatta mayhem of options! Rainmaker is much more focused. So focused in fact, that it should be no secret I wish there was more, here and there. But that’s a good thing. The Rainmaker platform forces me to focus on creating content, not fiddling with my website. First of all: think of the Rainmaker Platform as inexpensive outsourcing of stress and worries. I do. Secondly, consider the cost of quality WordPress hosting! The best WooCommerce hosting is by itself expensive. 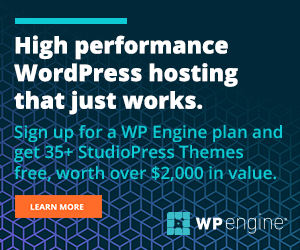 At a minimum, it’ll set you back around $29 for either Media Temple’s Premium WordPress, WP Engine (check their new website redesign, by the way!) or similar high-class hosting plan. Rainmaker being a hosted platform: you don’t need hosting. That by itself brings the pricing down considerably. All in all, once I added up all the recurring, yearly renewal costs of a multitude of premium (paid) WordPress plugins, Spokal, SSL certificate (incl. with Rainmaker) it added up to a cost equal to that of Rainmaker. Now that server issues, plugin updates, plugin and theme conflicts, caching etc; are no longer my business to deal with + the generally great support from Copyblogger’s tech team: the choice to switch my membership website to the Rainmaker Platform – was a no-brainer. Put simply: Rainmaker Platform is a STEAL for me. Now I can finally get back to producing high-quality learning content (as advocated by Copyblogger in this free online course) for my popular Headway Hero video tutorial and manifest all the other great plans I have. I have so much I wanna share with you – in the coming months (and years)! Blog posts, video tutorials and much more. I sincerely hope that, with my switch to the Rainmaker Platform: 2015 will be a great year! But hey! Yo! What about the theme and design here?? Rainmaker only allows using Genesis child themes! So yeah: I had to switch away from Headway (OMG! Who would’ve thought that would ever happen!?) and design a Genesis child theme. The next blog post in this Rainmaker series (yes, there will be more than this and the next one) will cover my Genesis vs Headway theme experiences. Questions? Don’t hesitate! Post ’em below! Oliver. I noticed you have an impressive list of sponsors. I am just about to launch my rainmaker site and want to build out an affiliate program… I had assumed I needed to go out and find my own affiliates/sponsors. Do you have a blog on how to build a successful affiliate program – or can you tell me how you built yours out? I would prefer affiliates who are somehow connected to the topic of my site: Higher Education, financing higher education, scholarships, etc. etc. I look forward to your thoughts. This is a really helpful post. Thanks so much. But a question: if you want to use content/inbound marketing as your main marketing model (for which Rainmaker sounds like a brilliant solution), but most of what you have to sell is physical product (as is the case with our business), what’s the way forward? Is there an ecommerce solution that integrates with Rainmaker? Or a content marketing solution that integrates with Shopify? Or something that does both? Good questions! I’d say Rainmaker makes most sense for businesses who are selling stuff online, i.e. not physical/tangible goods. It’s not geared for that. There’s no handling of shipping status, stock, tracking, etc. A platform like Shopify is much better for that. Shopify isn’t a marketing platform though. It does have a simple built-in blogging engine though. But content marketing really can be many different things to different businesses. So as an example, one business may find that YouTube videos work well for their business, but not for their competitor, who instead relies on AdWords and their Facebook page. Perhaps our business owner is good at video but bad at social and writing (so writing AdWords ads would be a drag in the long run) so YouTube/video makes sense to focus their content marketing efforts on. What I’m getting at is this: you can do content marketing a gazillion ways, and it doesn’t necessarily have to be integrated in your ecommerce platform. Ecommerce (as in: selling physical goods) is a complex affair, and building a marketing platform on top of for example Shopify, which is even one of the simplest ecommerce platforms on the market: would likely be a frustratingly complex platform to deal with / figure out. So I suggest you go with Shopify (aff link). I honestly have never come across an ecommerce platform as trouble free and sweet as Shopify. And I’ve worked with it extensively (for clients) since 2012. Now, where I’d not recommend to use Shopify, is for shops that are multi-national, multi-lingual. For those I’d likely refer to someone who’s a Magento expert. I’ve never been interested in those assignments (I love working with smaller businesses). Focusing in business, content creation etc and automating the technical part is a big trend, and is increasing in solo/small teams, as it gives freedom to work. When you find that solution for the right amount of money, it’s a winning combination. Are you giving up Headway totally or are you still going to use it for other projects? Can’t wait for your new thoughts on Headway vs Genesis. I would definitely not switch out Headway with Genesis – I like Headway’s Grid editor so much. That said: Genesis ain’t all that bad (provided one has at least moderate coding skills), it’s just a more traditional WordPress theme approach. Hi Oliver, how funny isn’t that after looking around worldwide for hours for great review on Rainmaker then it’s a fellow dane who gave the clarity to me. I’m 99% ready to purchase my Rainmaker subscription but just want to be sure it is a great tool to create a website for online fitness programs with monthly videos and forums for coaching. Would you recommend Rainmaker for that kind of use? Absolutely. The Rainmaker Platform has built-in forum functionlity, and you can schedule your videos, and even do fancy timed-release stuff, like stating that certain content should only be available after the user has been a member for X amount of days etc. Really cool: powerful and flexible – and yet really easy to set up. Really great answer with right on observations. I have indeed been guilty of always wondering if the grass is greener on the other side of the fence! I’ve been talking with a fellow entrepreneurs in a group I belong to and reading a few other blog posts and they agree with you that there is never going to be a perfect way to do something – you just have to do it and commit to it. Shopify does work great for me. That said, I could still see the benefit of also having a membership site to be able to give more content quicker. I ended up chatting with the Rainmaker folks. Very helpful and quick to respond. They said they are being liberal with storage/bandwidth and observing what typical usage is. For now, around 5 GB is their high-end. I’m going to keep my eye one it and watch your posts to see your experience, but it sounds like for the right marketers, Rainmaker is great. Note to others – don’t under-estimate how much value safe and easy is. If you do WordPress e-commerce correctly, it will end up costing as much as Shopify or Rainmaker. When I started selling, I used WordPress with e-junkie for a little while. I was hacked. Twice. Hey, thanks for your comment about my screen-casting. I tend to be a little self-conscious about my speaking voice – I can have problems enunciating, but I want to get back into doing more and maybe even some webcasting. Thank again for your post! Re: your speaking voice. I didn’t notice anything wrong with it. And I pick up on speech issues like a hawk. That said, ANYONE can benefit from Carol Fleming’s book It’s the Way You Say It – Becoming Articulate, Well-spoken and Clear. I recommend listening to the audiobook (available on Audible) it comes with written exercises, and it’s so helpful to *hear* her instructions. Let me know if it helps – and let’s keep in touch! Thanks so much for this post. I’ve been eying Rainmaker and thinking of doing a membership site, but I still have a lot of questions about Rainmaker, so it’s great to get the benefit of your experience – especially being a designer. It’s also really great hearing your input about Shopify and WooCommerce. I currently sell digital products on Shopify (yes- Shopify does allow you to sell digital products.) I sometimes get tempted to switch to WooCommerce wondering if it would be better since I could have my blog and shop together. (The blog on Shopify is extremely minimal.) This sets me at ease that I’m doing the right thing with Shopify. I’ve been thinking of either adding or switching to a membership site – so Rainmaker is something I’m looking at. I’ll be very interested in seeing your post about the themes and designing on Rainmaker. I’ve never been a big fan of the designs of Genesis themes (just a personal like) and from everything I read a couple of years ago – they aren’t easy to customize if you don’t know code, but perhaps things have changed in recent times? If you have a chance, I’d be interested in knowing how Rainmaker handles large volumes of digital downloads. I really don’t want to individually post every single asset. I’ve been considering using Zenfolio for the ease of use in uploading and unlimited storage, but it’s not an idea set up for a membership site. Can Rainmaker use Amazon S3 storage? Thank you for your kind and interesting comment! Yup, Shopify lets you sell products (using an add-on app) and for simple purposes can be okay for it (do you like doing so?). But membership functionality: nah. I’d never build a memberahip on Shopify. The reason is simple: it would be core functionality of the site – and hence should also be core functionality of the platform on which it is built. Else so much can end up hoing wrong: plugin/extension abandonment, poor code quality, sell-off to another company (whose level of quality control suffers and/or support suffers etc). All in all, I can tell you that I’m coming more and more to the conclusion that when it comes to running an online business: SIMPLE is the answer. The answer to any question, such as “should I begin using remarketing in addtiotion to my SEO, Adwords, Facebook Ads, blah blah, efforts?” Answer: would that make your life simpler? No? Okay, don’t do it. Focus on what you’ve got. Bringing it back to Shopify, WooCommerce, Rainmaker: if f.e. it works well for you having it on Shopify, with no major hickups or hurdles: keep on doing it. Never switch solely because the grass is greener on the other site of the fence (i.e. something else has more features, etc). Just do less – and do more of what works:) Not saying all that to be preachy – just something that I feel like sharing (and that thinking will likely shape the future direction of my own site and its content, products etc). To the best of my knowledge, Rainmaker can’t (I’m 99.9% certain) use Amazon S3 storage. They’re quite liberal with bandwidth though, and do not cap it, currently. There’s an FTP upload feature in Rainmaker (upon request) easing upload of a large quantity of assets. I’m curious as to what you dislike about StudioPress themes? Not to start an argument, I just love to hear people’s takes on various WordPress theme designers styles. One mans trash is anothers… treasure? Right? 🙂 Which theme providers to you especially like? Genesis is indeed difficult to customize if one is not HTML / CSS proficient. On Rainmaker they have implemented some theme design controls for some of the themes though. That said: Genesis (and everything Copyblogger / Rainmaker) is always very “true” to the “WordPress way of doing things” – which means that anything that would go in a standard WordPress theme will also work in a Genesis child theme. So, since Google has the answer to almost everything “WordPress”, it’s usually easy to do what one wants to do (provided one knows about HTML, CSS and perhaps a bit of PHP). Copyblogger’s adherence to WordPress standards also means their products are – in general – very stable. PS: all that vintage typography around your site makes me drool! Wauw:) I like your screencast pacing as well. Good voice also!